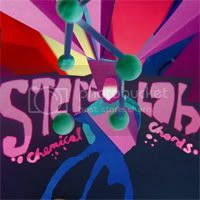 Stereolab’s Chemical Chords starts off brilliant; sweet, endearing melodies enveloped in 60s charm that’ll place you in a good mood for a long time coming. At the beginning of the record, first tune, ‘Neon Beanbag’ folds organs and effervescent pop grooves into 60s girl-group beats. Follow-up track ‘Three Women’ closely picks up where it left off, carrying that same cutesy vibe sounding all very French nouvelle vague. 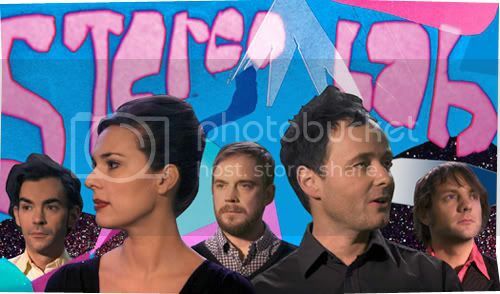 But two songs in, and further into the record, the band seems to have veered off track, unexpectedly venturing off while dappling into other sorts of pop realms. I can’t help but ask where have all the radiant pop jewels that greeted us earlier vanished to? And each time a similar sound does emerge, it fails to mimic that same bright, fizzing appeal exuded previously. Such a shame for if the album weren’t too inconsistent, it would’ve served as a refreshing sense of enjoyment for your listening pleasure.